In their 40 years of ruling Iran, the mullahs have proven that this regime exploits every opportunity for espionage, terror, and other illegitimate purposes. It’s not a secret that its income from foreign trade is spent mainly for the oppression of the Iranian population, and for warmongering and export of terrorism. So it’s no surprise that the Iranian air fleet, which Mahan Air is the second largest company of it, also serves the same purpose. Last week, Berlin banned the landing of Mahan Air in the country. Evidence suggests that this civilian company apparently, has been the facilitator of the terrorist activities of the Iranian regime in the Middle East. 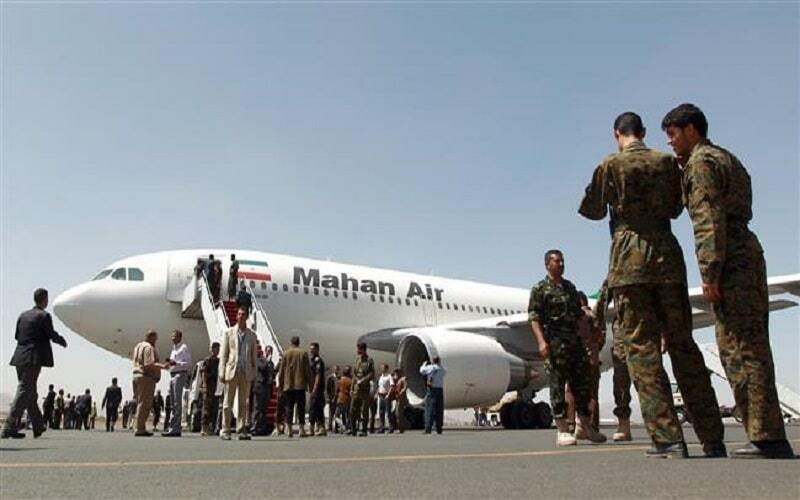 The US ambassador to Germany, Richard Grenell, stated: “Mahan Air has flown terrorists, weapons, equipment and funds to international locations to support Iranian terrorist proxy groups,” including Syria’s murderous Assad regime. He thanked Germany for imposing the ban. On Monday, January 21, the German Foreign Minister, Heiko Maas, explicitly stated that Mahan Air was carrying weapons and soldiers to the war zones in Syria and considered the lifting of Mahan Air’s permission related to its security issues. The German Foreign Ministry announced in a message: the decision was taken within the framework of the recent sanctions imposed by the Council of the EU following the developments (mullahs regime’s terrorist plots) in the soil of France and Denmark. It seems that the German government, as the most eager supporter of a catastrophic nuclear deal with Iran, has confused Tehran. For long, the mullahs regime was lending its hope to SPV as the savior of its collapsed economy from US sanctions. But now, not only they didn’t bring about the SPV and replaced it by INSTEX but also Germany joined the regime’s sanctiones. The National Council of Resistance of Iran (NCRI) has already revealed in several reports, including a report released in October 2017 that Mahan Air is part of the Quds Force of the Revolutionary Guards and has called for sanctions to be imposed on the airline. According to these reports, Mahan Air is used to transport members of the Revolutionary Guards and their militias and weapons to Syria and other countries involved in terror and warfare. Mahan Air is apparently a private company founded in 1991 in Kerman. The major shareholder of the firm is “Charity of Mowla al-Movaheddin“, which belongs to the Iranian Revolutionary Guards (IRGC). The company owns 60 passenger and cargo aircrafts and, in addition to domestic flights, flies to 52 destinations in Europe, Asia and the Middle East. Mahan Air has multiple daily flights from Tehran, Mashhad, Isfahan, Shiraz and Abadan to Damascus. These flights use Iraqi air space and carry weapons, equipment and Revolutionary Guards for war against the Syrian people. Germany’s banning the Mahan Air only serves to prove what the Iranian Resistance has been saying all along. The Iranian Regime poses a real and serious threat to the safety and security of other countries, whether through their missile program, their support for terrorism, or their human rights abuses. The Iranian Regime has not changed its behavior in the past 40 years and cannot be expected to do so now. It is notable to remind that after the assertion of the U.S. Secretary of State Michael Pompeo during his recent visit to Cairo, Mrs.Maryam Rajavi the president-elect of the NCRI, highlighted that gaining access to weapons of mass destruction, violations of human rights, export of fundamentalism, and terrorism are the four pillars holding up the theocratic regime ruling Iran. Recognition of the National Council of Resistance of Iran (NCRI), as the sole democratic alternative to the terrorist religious dictatorship in Iran, is imperative to rectifying and ending the disastrous U.S. policy of appeasement over the past four decades. The clerical regime, which holds the world record in executions, will only understand a decisive and firm response.